Have you noticed when you take a drive in any direction in Plumas or Sierra counties that more and more quilt squares are popping up on local barns and buildings? What’s it all about, you ask. Barn quilts honor the economic, cultural and historical contribution of ranching and farming in local communities. Whether you are an art enthusiast, a quilter, a rancher or a visitor, these barn quilts must surely beckon. To learn more about this phenomenon, visit Red House Art Gallery, 7450 Highway 89 in Graeagle, Saturday, Aug. 18, from 10 a.m. to 4 p.m. This is an opportunity to view a large collection of barn quilt squares painted by local artists from the Sierra Valley and to speak to the artists about their passion for this tradition. Visit sierravalleybarnquilts.org for more information. 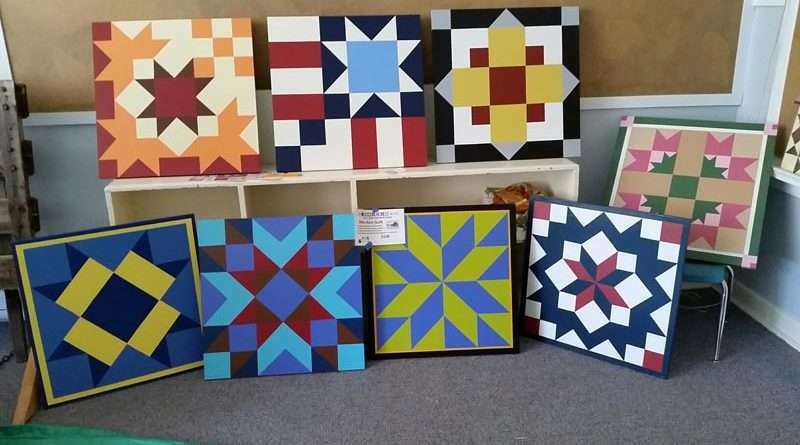 Quilt squares will be available for viewing or purchase in the yard at Red House Art Gallery.